Edenton is alive with holiday hustle and bustle as the town readies itself for the 37th Annual Christmas Candlelight Tour. This tour is an Edenton tradition. In addition to Chowan County residents, it attracts hundreds of visitors from around North Carolina and Virginia. It’s the Edenton event that you won’t want to miss. Residents, businesses, organizations and historic buildings come together each year to organize and support this holiday ritual, and it creates an atmosphere of small-town spirit. 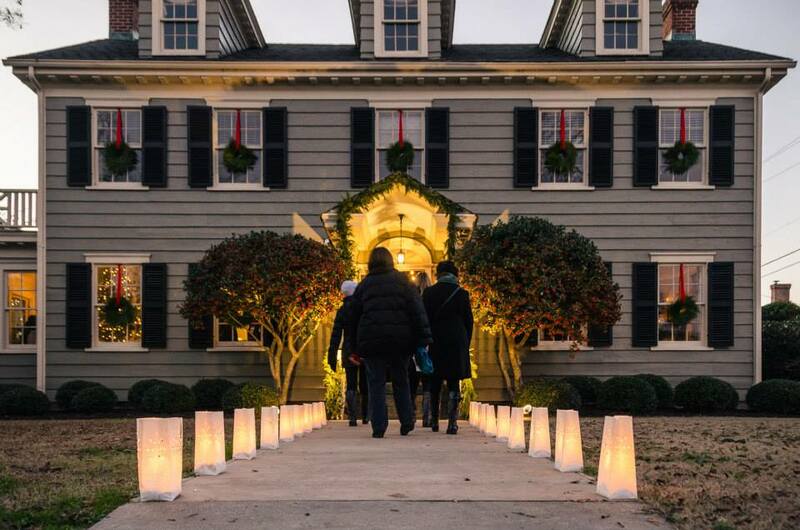 If you’re unfamiliar with the Christmas Candlelight Tour, here’s the rundown: Each year a different neighborhood in downtown Edenton is selected to showcase the town’s historic homes and holiday spirit. The participating homes, often ones with striking exteriors that bring passersby to a standstill, open their doors to the public. Inside, visitors find realms of holiday splendor, channeling Christmas and Edenton traditions into the decorations. This year’s tour features 14 homes on W. King and Blount streets. 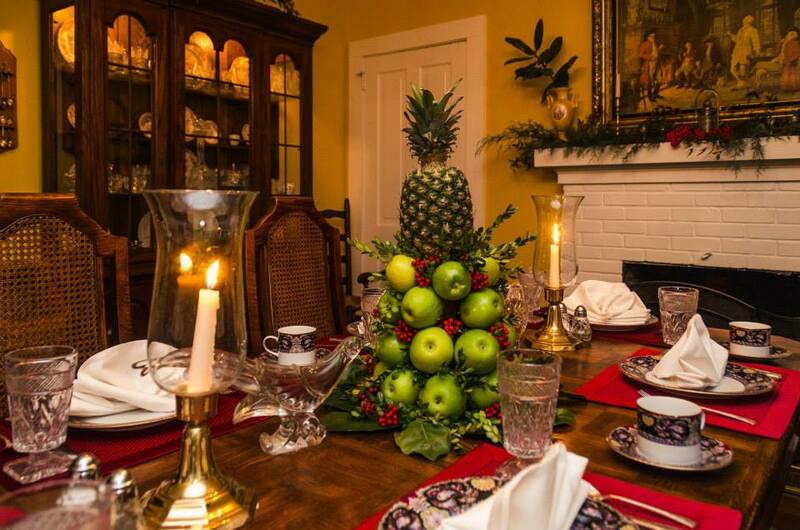 Together they capture multiple decades and styles of Edenton Christmases. Each home is responsible for how it’s decorated for the tour, inviting the households’ interior designing skills and imaginations to run wild. Among the years of the tour and various decor trends, an element of Southern colonial tradition distinguishes itself as the primary theme. Don’t expect to see any plastic Santa figurines or inflatable snow globes. Instead, magnolia branches garnish mantles. Sprigs of holly and winterberry burst from festive arrangements. In lieu of ornaments tucked into trees or wreaths, you may find oranges, apples and other fruits adding splashes of color. It invokes a timely atmosphere to complement this year’s selections, which include the James Iredell Jr. Law Office (from 1802) and the Skinner-Paxton House (1820). One home this year is a long-time destination on the tour. Every year that the homeowner decorates her home, she sends her son and daughter into the woods to collect greenery. It’s become as much of a family tradition for them as the greenery is traditional of Christmas. While similarities exist within the decorations between the homes, homeowners also individualize them to reflect their family and their home’s history. One home, built in the 1960s, will opt for a more modern approach to its decor with an eclectic mix of Christmas decorations. The home of an avid Southeastern Conference football fan will feature his favorite team in a prominent location. Another homeowner wants Christmas trees to take the stage in her home, from the china pieces on the table to the ornamented pine trees in the rooms. Another property, one owned by a young family, will take a family-focused approach in its 1851-era interior. Half of the homes involved this year have been featured in the past. Others are first timers, whether that means their first time opening for the tour or new homeowners stepping onto the scene. Whether homeowners are seasoned hosts or new to the practice, they share a lot of anticipation for the tour weekend. A shared concern among everyone is the weather – rain and muddy shoes aren’t the most forgiving to historic homes’ floors. Families love decorating their homes for the tour, and some even commission their friends’ help in the days leading up to the event. It’s an activity that involves everyone. For the tour goers, seeing how each home decorates for the event inspires their own Christmas preparations. Additionally, it deepens appreciation for the historic homes that local organizations and families work to preserve and maintain. Edenton Historical Commission and other historic preservation efforts in the community benefit from tour’s ticket proceeds. 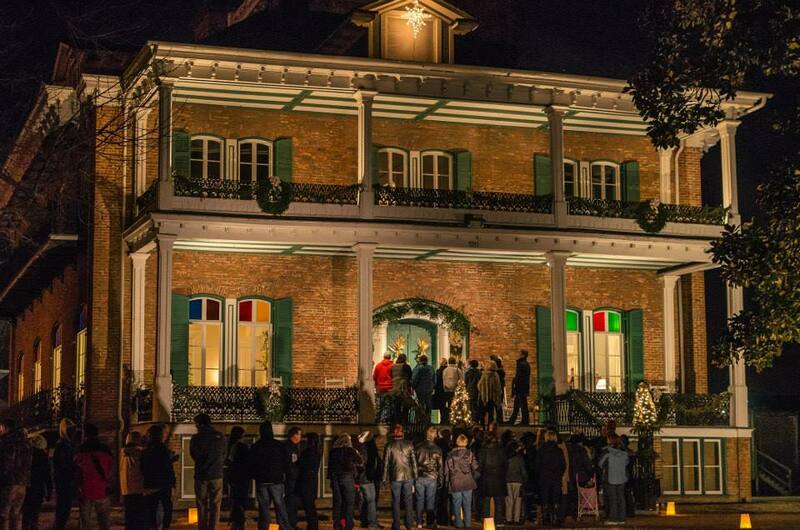 This year’s Christmas Candlelight Tour occurs on December 14 and December 15 from 4 to 8 p.m. The self-guided walking tour covers a two-block span. Pick up your tour packet and map from the Penelope Barker House Welcome Center and take your time visiting each destination. After your final stop (or in between locations) treat yourself to dinner at one of the lovely Edenton restaurants located nearby. Various Edenton businesses and historic sites offer their own events in the hours leading up to the tour’s opening time. Learn about all of the wonderful activities scheduled on our Daytime Events page.